Finding the right midsize crossover SUV can be a challenge for luxury shoppers thanks to the many quality models that are available. 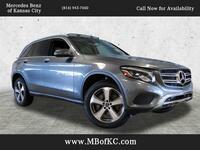 With the 2019 Mercedes-Benz GLC in Kansas City MO, drivers can enjoy satisfying performance and cutting-edge technology, all with the brand that invented the automobile. 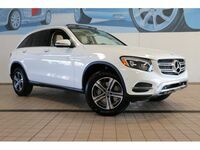 Models of the 2019 Mercedes-Benz GLC available here at Mercedes-Benz of Kansas City will run the gamut from the elegant and practical 2019 GLC 300 SUV to high-output, high-performance AMG® models. 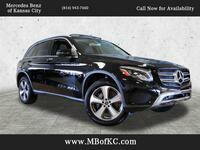 All variations offer five-passenger seating and generous interior space. 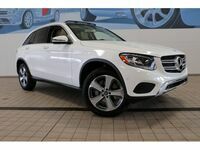 The 2019 Mercedes-Benz GLC 300 SUV offers 19.4 cubic feet for cargo behind the second row, which expands out to 56.5 cubic feet with that row folded down. Features like dual-zone automatic climate control, a seven-inch infotainment display, and a 14-way power adjustable driver seat with memory settings are standard features. 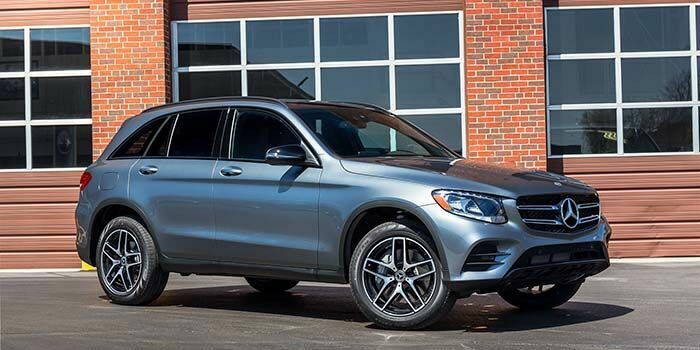 Keep reading to learn more about standard and available features of the 2019 GLC at our dealership below. 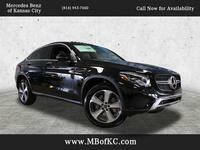 When it comes to features, the 2019 Mercedes-Benz GLC in Kansas City MO delivers premium luxury and cutting-edge technology. New for 2019 is the addition of tri-zone climate control, heated front seats and a 115-volt power outlet to the standard feature lineup. 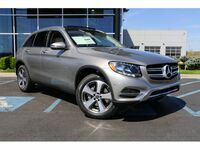 While some smartphone connectivity via Bluetooth®* and the Mercedes me app will also be standard, the 2019 Mercedes-Benz GLC 300 will also offer Apple CarPlay, Android Auto, in-car Wi-Fi, and voice controls as available features. Other optional technology highlights on this model include a 13-speaker Bermester sound system, a head-up display, navigation and a rear entertainment system. 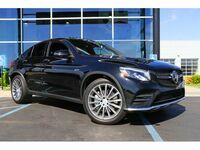 The 2019 Mercedes-Benz GLC 300 comes with a 2.0-liter turbocharged four-cylinder engine rated for 241 horsepower and 273 pound-feet of torque. This engine comes mated to a nine-speed automatic transmission and offers both engaging driving (including an electronically-limited top speed of 130 mph) and satisfying fuel economy in the midsize luxury class. It is available with two-wheel or 4MATIC® all-wheel drive** and can come with a new Off-Road Engineering Package for drivers with bold off-highway driving needs. 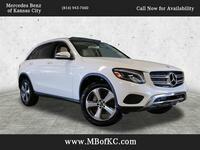 If you would like to learn more about the 2019 Mercedes-Benz GLC in Kansas City MO, contact a member of the Mercedes-Benz of Kansas City sales team today by requesting more information below.